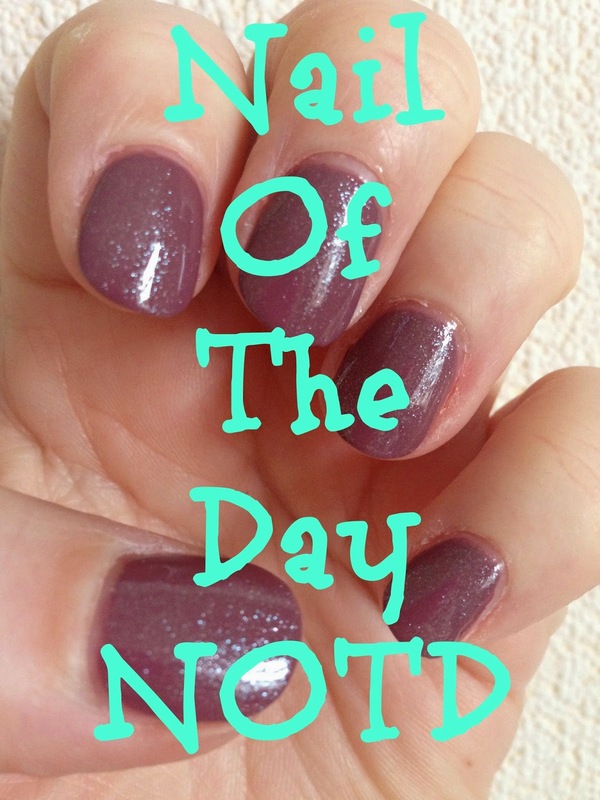 I'm back today with another NOTD post or nail of the day to give it it's "Sunday name" as my mum would say. And today's notd is a lovely plum colour and I've added a bit of sparkle to it, you know me and my sparkle, I do love a bit of sparkle don't I? I promise the next notd won't feature any sparkle, cross my heart. I did also use my favourite base and top coat but stupidly forgot to take photographs, the orly bonder base coat is available to buy for £10.90 here and my favourite orly glosser top coat is available to buy for £10.90 here. I always use the orly base and top coat, they are my holy grail base and top coat and have been for many years now. 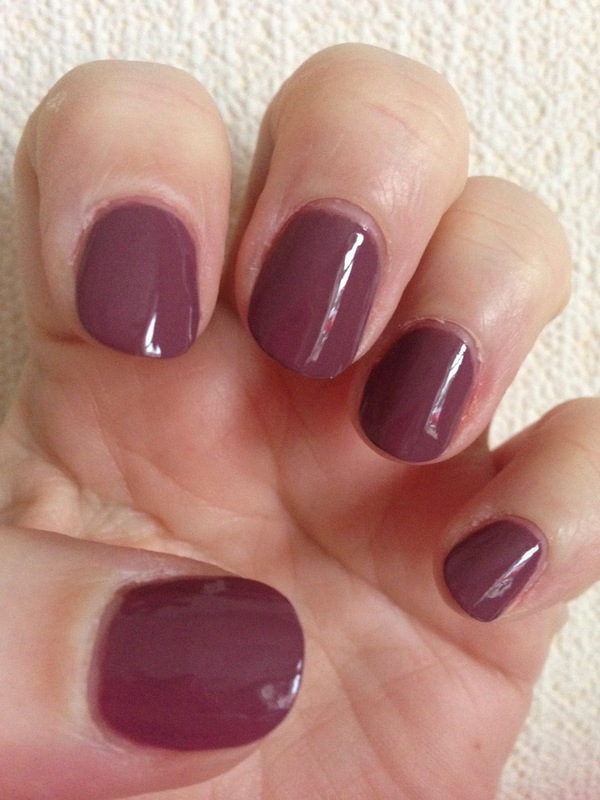 First of all I applied a coat of the orly bonder base coat, and then I applied 2 coats of the Sally Hansen Complete Manicure in Plums The Word, a lovely muted plum colour, perfect for winter. The Sally Hansen polishes are a complete manicure because they are 5 products in 1, they are a base coat, a strengthener, a growth treatment, a colour and a top coat. I do still use my own base and top coat out of habit but the polish is a 5 in 1 product so you don't necessarily have to which is great, they are priced at £6.99 which isn't too bad for a 5 in 1 product but it is rather a lot for me to pay for a nail polish, usually around £5.00 is my limit unless it's a polish I really fall in love with, but even then I don't usually go over £10.00. Once the Sally Hansen polish was completely dry I applied a coat of the Essie Pure Pearlfection polish, a lovely subtle sparkly polish, you might be able to see that mine has a slight pink tone to it, it shouldn't actually look like that (oops) it is white in colour normally. I love this polish it looks lovely over a colour polish but my favourite way to use it is to put it over the white when I create a french manicure, it gives the tips of my nails a lovely sparkly finish and looks lovely. 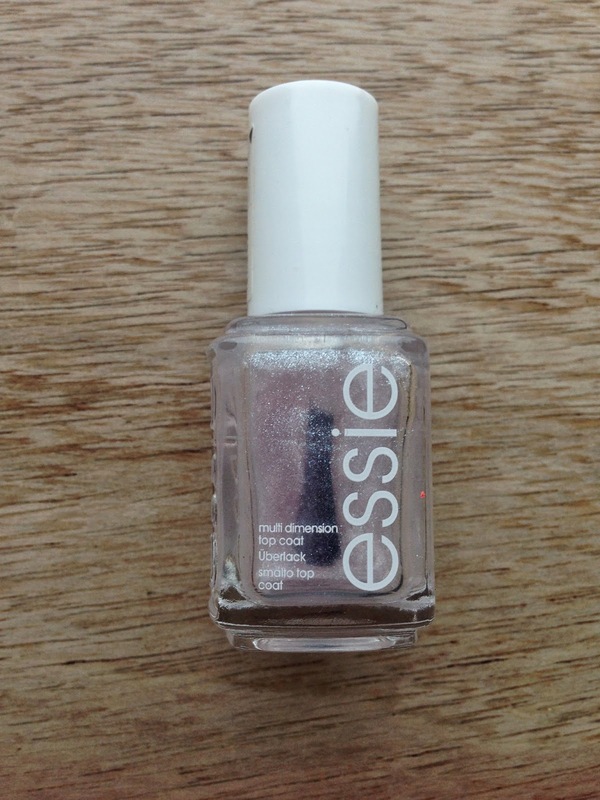 Essie polishes are expensive but they do last, I bought this one a couple of years ago and theres still a few applications left. 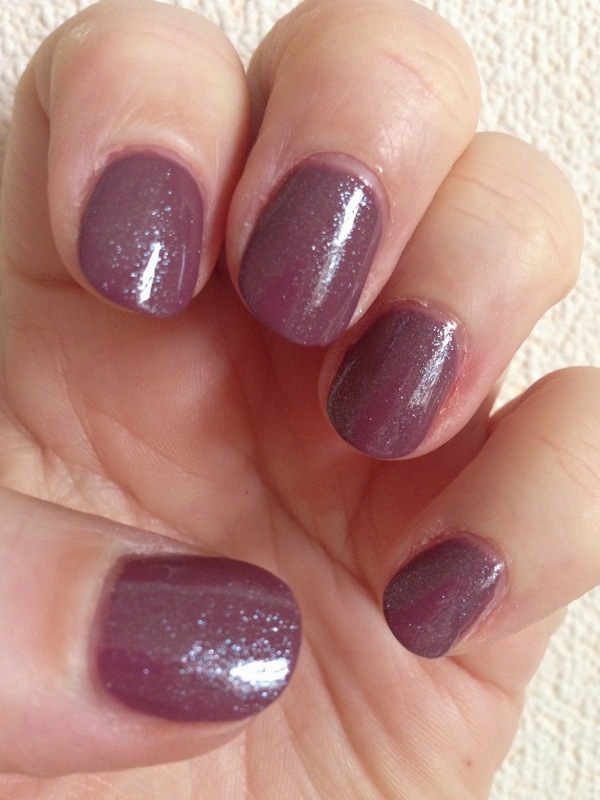 I finish the look with a coat of my favourite orly glosser top coat. The above photograph shows the Sally Hansen polish after 2 coats and without any top coat, as you can see it is a lovely polish and very glossy too, so if you don't want to add the sparkle over the top it looks lovely both with and without. I really loved the look of the polishes together and received a lot of compliments on my nails, they lasted really well too and the polish stayed chip free for 6 days and I only removed it because I caught my nail and took and chunk out of it other wise I think they would have lasted a couple more days at least, I was really impressed with the Sally Hansen polish and will definitely try some more from the collection. If you'd like to create this NOTD you can find the Sally Hansen polish here for £6.99 and the Essie polish here for £7.99. Have you tried any of the Sally Hansen polishes? Do you like to add sparkle to your nails or do you prefer them without?